Bike, run, walk, or birdwatch in normally closed areas of Freshkills Park! Six miles of roads will be accessible for this event. Visitors can bring their own bikes or rent one for free. This event is free and open to the public. Registration is not required, but we recommend signing up to save the date. 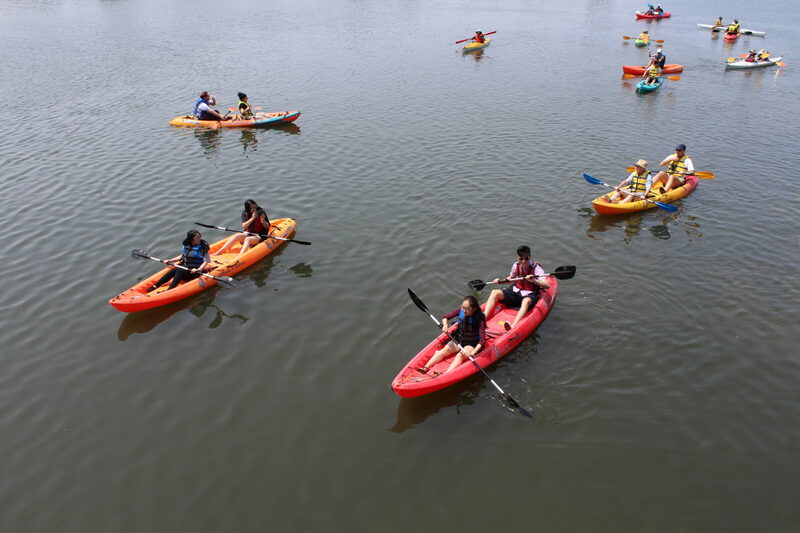 Paddle along Freshkills Park’s waterways! These two mile round-trip tours allow visitors ages 16+ to explore the unique engineered landscape by kayak. The tour is free but registration is required. Sign-up for kayaking opens two weeks before each tour date, and these popular tours tend to fill up very quickly. Families can lace up their shoes and join staff for nature walks at Freshkills Park! On these one-mile hikes, visitors will observe and learn about the plants and wildlife found in the woods, wetlands, and grasslands. Registration is currently full, but there’s still time to join the waitlist. Experience the landscape and views Freshkills Park has to offer! Hundreds of acres and miles of trails will be open for tours, bicycling, and activities for all ages. This event is free and open to the public. Registration is not required, but we recommend signing up to save the date. Interested in learning more about Freshkills Park? Join the mailing list and follow @freshkillspark on Twitter, Facebook, and Instagram.